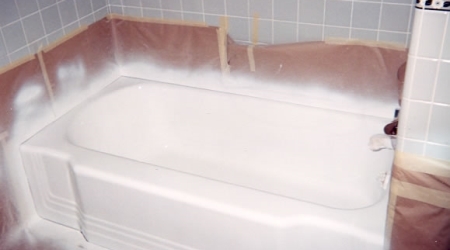 This bathtub is stained and the finish has been damaged over time. 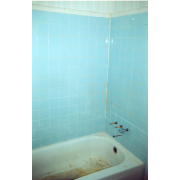 Notice the rust in the upper left-hand corner. 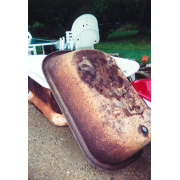 The finish has now been restored and all rust has been repaired. 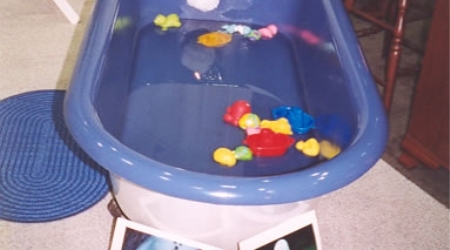 This claw foot bathtub was found in a farmer's field. 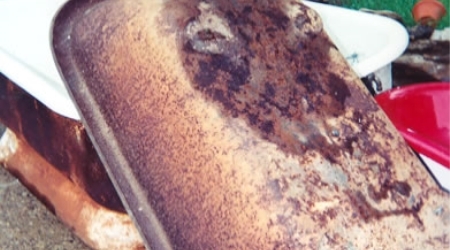 Although the interior was in decent shape, the exterior was badly rusted. 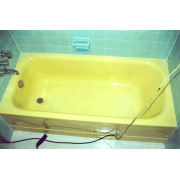 The bathtub has been restored for use as a display at our annual home shows. 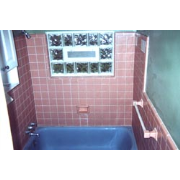 This customer was tired of her dated blue wall tile. 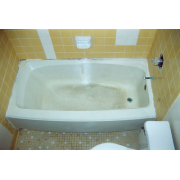 She also had a recurring mold and mildew problem in her grout lines. 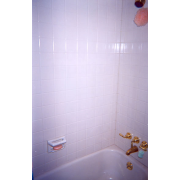 The wall tile was restored to a shade of bright white. 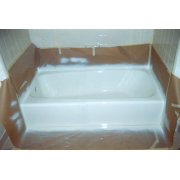 The grout lines are now sealed and protected from mold and mildew growth. 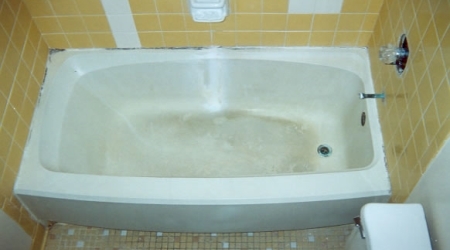 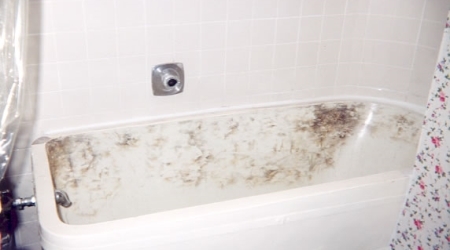 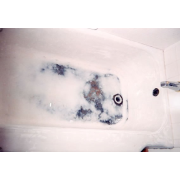 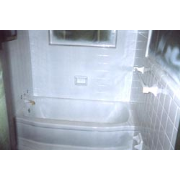 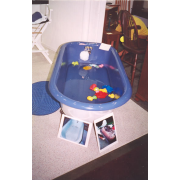 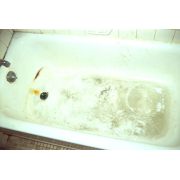 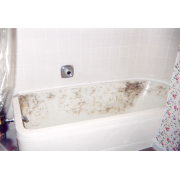 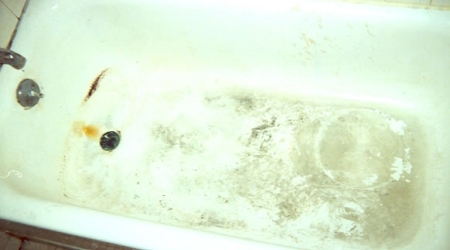 This bathtub was badly damaged by a drain cleaner that was allowed to sit in the bathtub. 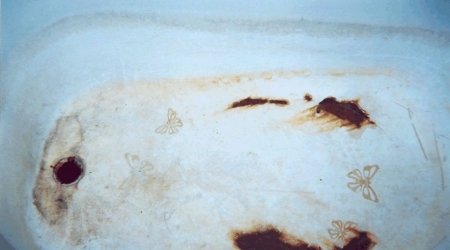 The surface has almost completely deteriorated. 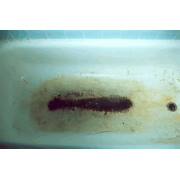 The deterioration was successfully stopped and the surface restored. 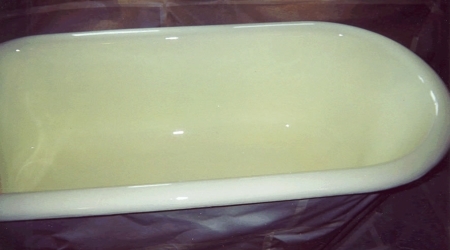 Another case of a dated color. 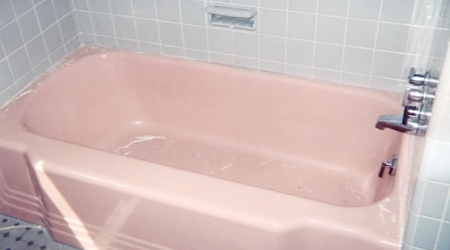 This customer was tired of pink and wanted something more up-to-date. 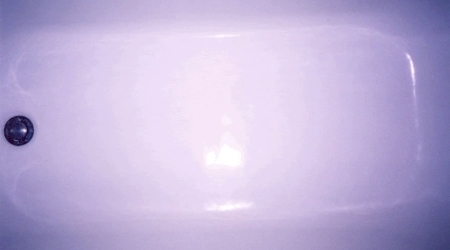 Bright, shiny and most importantly, WHITE! 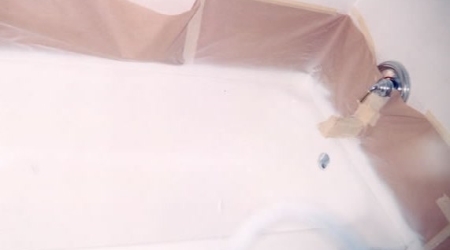 This bathtub was stained due to the non-slip surface that was factory installed in it. 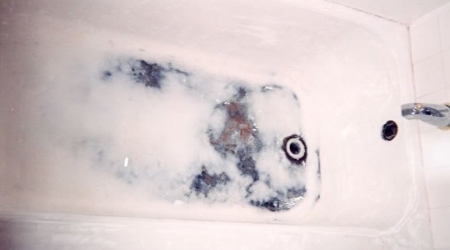 We don't recommend non-slip bottoms for this very reason. 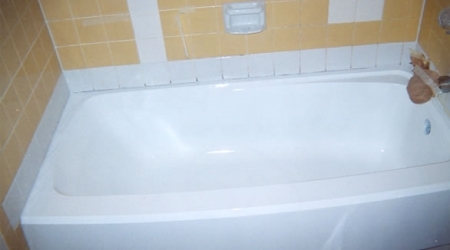 The bathtub is no longer stained and the surface is smooth again. 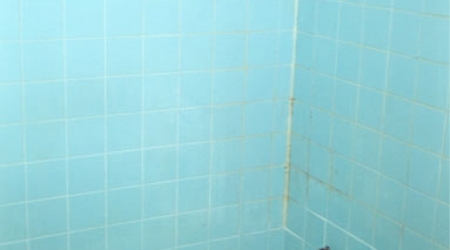 This is probably one of the most dramatic tile makeovers we've seen. 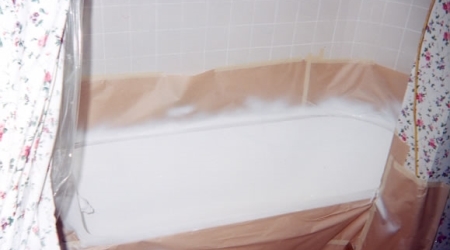 These colors really date the entire bathroom. 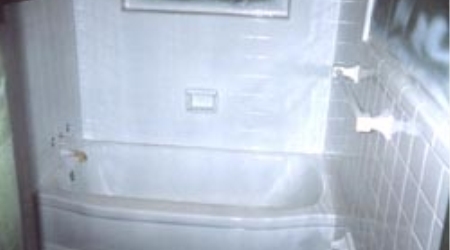 The new white surface brings life back into this old bathroom. 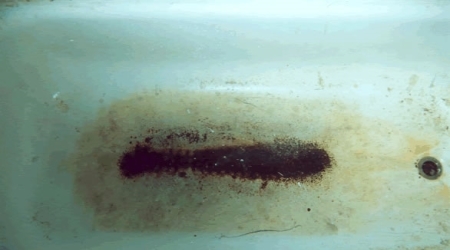 This bathtub had serious rust damage as well as marks from non-slip "stickies" that were used in it. 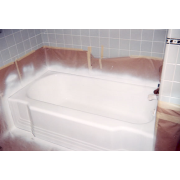 All reside from the "stickies" was removed and the rusted areas were treated and repaired. 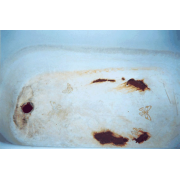 This bathtub had actually been burned with a propane torch in a failed attempt to remove a bad coating applied by one of our competitors. 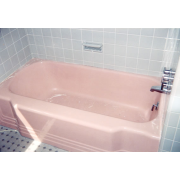 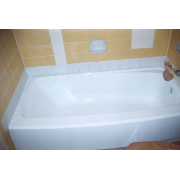 All burned areas were repaired and the tub completely restored. 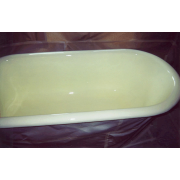 This claw foot bathtub was actually in decent condition. 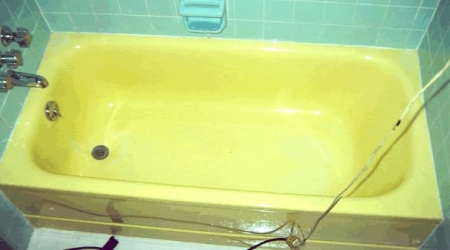 It just needed a makeover to match its new surroundings. 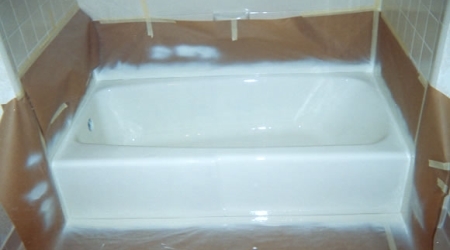 The bathtub was restored in a cream color that greatly enhances the customer's decorating scheme. 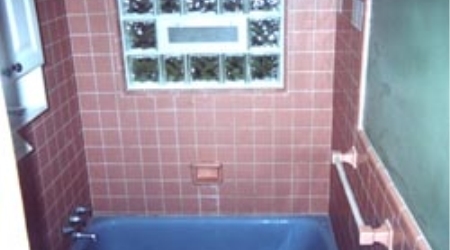 Yet another case of a good color gone bad. 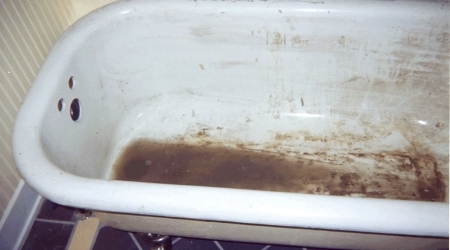 Popular in the 1950's, not popular now. 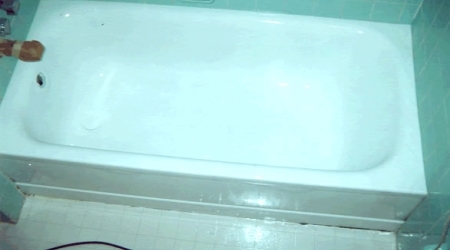 The bathtub is now a bright white and is definitely more up-to-date. 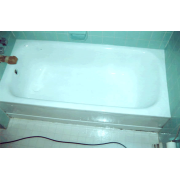 This bathtub was badly pitted and rusted down the center due to standing water. 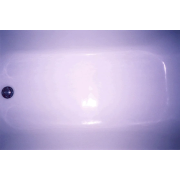 The damaged areas were repaired, the water problem corrected, and the customer has a beautiful new surface.